Looking for a place for eating in Jerusalem on Shabbat? Looking for a special experience while spending Shabbat in Jerusalem? 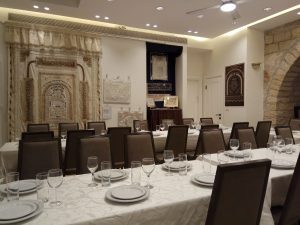 Kosher restaurants in Jerusalem are closed on Shabbat; dining in a hotel in Jerusalem on Shabbat, looks, sometimes, like eating in any hotel back at home. For details and for registration click here.